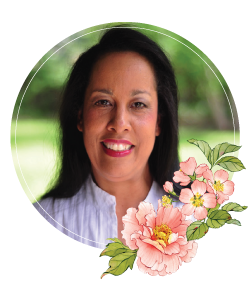 Hi there blog friends – Happy Fourth of July!! Although I’m always up for patriotic cards, there’s something else that tickled my fancy this morning. As is my Monday morning ritual, I’m playing Mojo Monday and this weeks sketch (Mojo 198) is sweet! It inspired me to create a theme card based on sewing. This kind of creating is fun!! I looked through my stash to see what I could pull together and I picked things from several different sources. My papers today are all digital – something that I’ve shied away from but I can no longer deny. Be safe friends and enjoy sweet times with family!! Biggest hugs!! Sooo wonderful work Becca, and this time, you´ve really went outside your normal box, and I just love, what you´ve done here. I´ve always loved all blue colors, so this is just sooo awesome in my eyes, and I love, how you´ve mixed the colors here. Great work again hun. Beautiful card. Great color combination. Must say, had hard time getting to your blog after receiving your blog newsletter as I kept getting ‘error message’……. but you might say, I came through the ‘back door’. Love these papers the blue is amazing! Love all the buttons and of course the lace. Terrific card, Becca! 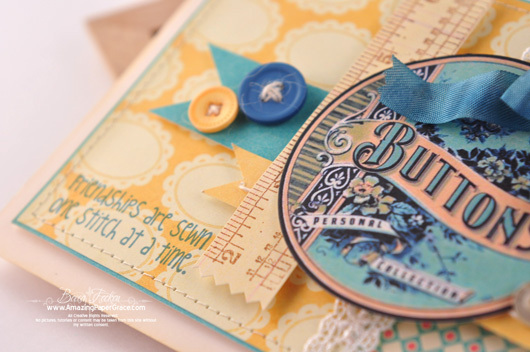 Love, love, love the color scheme that pairs blue and yellow…so fresh and fun! 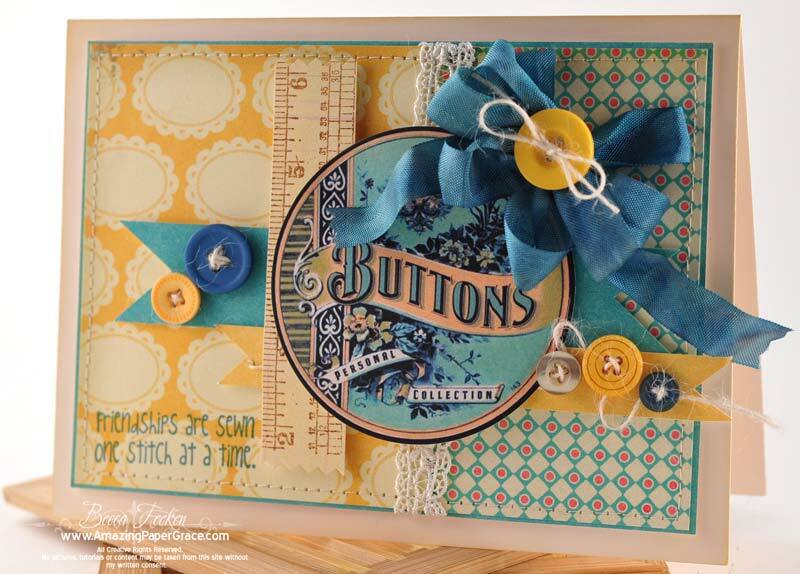 Love also your sewing theme and all the elements that you used to enhance the theme…a real winner!!! Love it! Makes me want to clear off the top of my sewing machine cabinet to make space to sew something! It is official Becca – YOU could make a silk purse out of a pig’s ear! Today’s card is so different from your normal colours but just as beautiful. Thanks Becca live this sew much. I also had trouble viewing you tutorial. Went thru the u-tube site. What an adorable card! Quite different but oh so cute. You could say it’s as cute as a button. This is a really pretty card. You are so full of creativity and energy. I wish I had half of that!!! :-) Thanks for sharing. Your card is just as cute as a button…pardon the pun! Hehehe! I love the colours and the vintage image. It is so sweet. Just noticed that there is No new weekly poll today. Becca love this card, so clean and still very patriotic. are able to do this fantastic work, each and every day. Blue and gold?! I’m shocked! No pink or rose or coral. . . .LOL! You rock in any color, girl! I love it! Becca!! Seu trabalho é sempre super inspirador. Amo tudo que vc faz e é sempre muito gostoso vir te visitar e ver as coisas lindas e criativas que você faz!! Amei!! Feliz 4 de julho e uma semana maravilhosa. This is beautiful Becca and to think you were just saying you were stuck in the shabby chic mode. LOL I love this card, because my 1st love is sewing and also because you made the buttons look like they are actually stitched on. One of my pet hates is when buttons are just glued on and then the holes are left un-used as it looks contrived and fake. So on all counts I love this card, as usual. Your work is a daily ‘look forward to’ for me. Oh Becca ~ What a great card! I love how you mixed things up, and the color palette is divine! Happy 4th of July to you, too! the butterwith a little onion to pour over them. Sure do love them. We had pizza tonite. It is my husband’s favorite food along with hot dogs. Therefore, it is my favorite food! Can you imagine anything easier to fix than pizza and hot dogs? Leaves a lot more time for crafting! 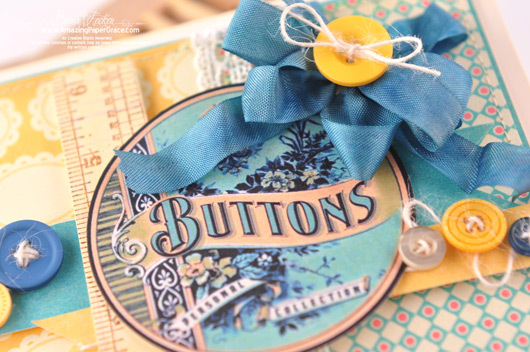 I like the card with all different color button and I like the saying you use on it. It is a cute card and I love all the bright colors you. Thank you for sharing. I hope you and your family had a Happy 4th of July because I did it was my son birthday and he turn 18 year old. Visiting from Mojo Monday The Blog! Visiting from Mojo Monday Blog! Wowzers! This is so Fabulous! I love all the Darling Sewing supply details! Congrats on your well deserved Mojo Win! And Thanks for the inspiration too! This card is just Wonderful!